You can find these shows on the internet here. The shows are half an hour long and you can hear Pat talk about his career and the origin of some songs. Pat and Acela also propose to hear new bands and new artists. These shows can even be downloaded on your computer. 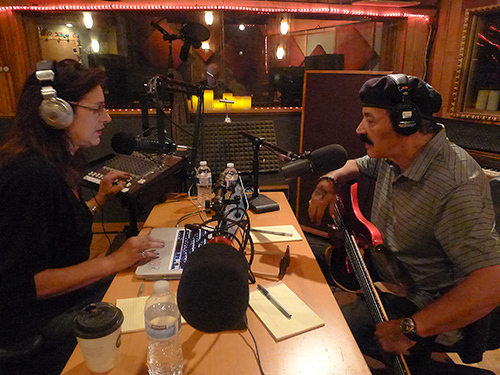 Pat Vegas and Acela Cortese recording the show.